Simply place the stainless steel cake ring on a baking sheet, adjust to your desired diameter, fill and bake / refrigerate / freeze as necessary. Cake rings of various sizes and shapes (round, square, rectangular, triangular etc) can be used to bake / chill / freeze cakes and entremets. These bottomless moulds are used with FLAT baking sheet lined with parchment paper liner as bottom. They are inexpensive direct replacements for commonly used springform pan. 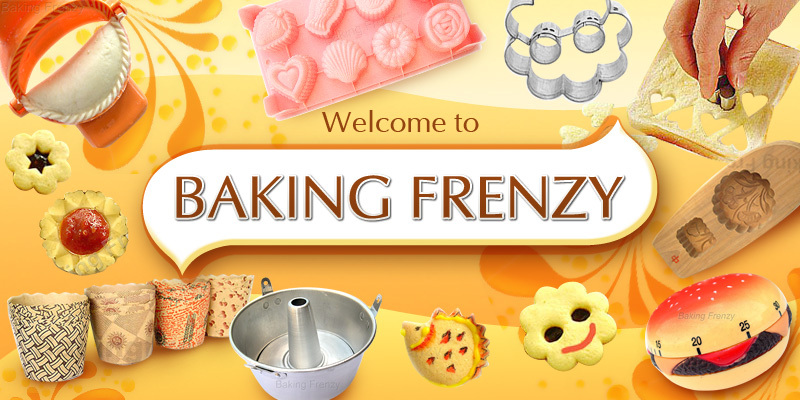 It is particularly important when using cake rings to bake to select a FLAT baking sheet for the bottom (using warped or uneven baking sheets can lead to significant batter leakage and affect height of the baked cake. For very loose batters or with water baths, wrap aluminum foil around the bottom of the cake ring to form a base to retain the batter. Professional pastry kitchens use acetate liners / acetate sheets to line cake rings when making chilled or frozen entremets. Cut pieces of acetate sheets to fit circumference and height of ring. Use this as a liner for your ring moulds to act as a release mechanism between entremet and the cake ring. With acetate liner in place, you simply lift or push entremet out of the ring mould and you get a very clean finish. Without acetate lining, you would need a heat gun / hairdryer to melt sides of ring to release entremet from the mould. By using cake rings for cake and entremet making, you can save $$$ and space!